'Endless mode is OUT for FREE! Survivor update is bringing a brand new challange for those of you who have mastered the surviving techniques - even on the hardest difficulty setting. Survivor Mode is already out - learn more here. You asked us if we can give you some naming options for your citizens and automatons - and that's exactly what we are doing. Oh, and we hope we can bring even more customization options in the future - but you gotta start somewhere, right? People & Automatons update is already out - learn more here. This is the most substantial update for 2018. A story-driven brand new scenario, that offers hours of new content and fresh take of Frostpunk's mechanics. Its narrative unveils the events preceding those in the main campaign and tells what had happened in the town of Winterhome just before catastrophe struck. 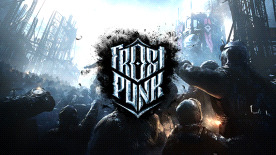 Frostpunk’s Endless Mode is the latest, longly awaited update requested by our community. It’s the biggest DLC to the game so far and it will allow you to dive into the Frostpunk experience deeper than ever before. 5. Winter Snapshots - Update. Let's admit it - Frostpunk looks good. And we want you to be able to capture its beauty with more precise tools. That's why we plan to introduce a special photo/screenshot tool so you can snap some icy, intense pics of New London. We've also prepared a special surprise for this update - but we're not spoiling that, either.